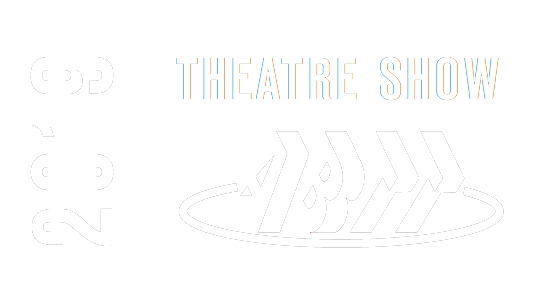 The ABTT Theatre Show is the home of theatre specialists. A broad spectrum of companies and organisations exhibit and more than that, the combination of exhibitors and visitors make the two day show an exceptional networking opportunity. Leading lighting companies exhibit the latest technologies and products. The Theatre Show is a major networking opportunity for lighting designers and production electricians. We offer a practical environment for the audio industry. Live demonstrations are now very much part of the event in our studio space. A wealth of technical disciplines are covered at the show. Relevant to venue operators, production staff and theatre consultants, we also have exhibitors addressing Health & Safety, Codes of Practice and other relevant matters. Relevant across theatre, TV, film and commercial work, our exhibitors offer a broad range of scenic solutions. The ABTT Theatre Show brings together Drama Schools and Trade Associations under one roof. Anyone exploring the possibility of a future in the industry will derive significant value from a visit to the show. Increasingly, a number of companies now offer apprenticeships. We are delighted to announce that The ABTT Theatre Show has finally found an opportunity to present the end product – a show in itself. The Alexandra Palace Theatre is now fully refurbished and is a working theatre. The ABTT Theatre Show will be presenting David William Bryan in his highly acclaimed one man show ‘In Loyal Company’ on Wednesday 5th June. Make a full day of your visit on Wednesday 5th June. Visit the Theatre Show, have your supper in the bar by the Palm Court and then move on to the theatre. The ABTT Theatre Show works closely with Curtain Call to deliver networking opportunities. Curtain Call is a network created BY theatre professionals FOR theatre professionals. We connect you, the theatre professional, with a network that showcases everyone involved in theatre. Individuals and companies can create and manage profiles, connect and collaborate with others. Find out more….